Listen to the new intro I have this week.. cool huh? That was provided by Greg Rempe from the BBQ Central Show. 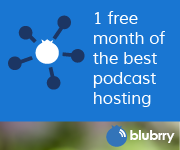 Today I’m going to talk about how to fully setup your wordpress site for podcasting using Blubrry’s Powerpress podcasting plugin. 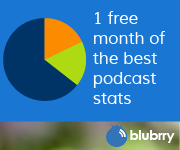 I will go through the steps you NEED to take to get the basic podcast RSS feeds and a few little tricks I’ve learned over the years for best results. I do plan on adding a screencast demo soon of this process. Look for that in the coming weeks. Last week we installed wordpress. How did that go? Feel free to ask questions that we can go over on the show here. Now that we have the basic wordpress installation online we are ready to get things ready for podcasting. At this point, I wouldn’t worry about how things look. You can work that out over time. If you have any questions or comments, email me mike@mikedell.com or call the voicemail hotline at 702-757-1104 and I may include your question on the show.